Plumfund offers a wide range of tools to help you make sure that your crowdfunding campaign is successful. One such tool is the wish list. A wish list displays items that you need and then supporters can choose which of those items their donation will directly fund. Supporters love the wish list because it allows them to feel directly connected and know exactly how they are helping you. 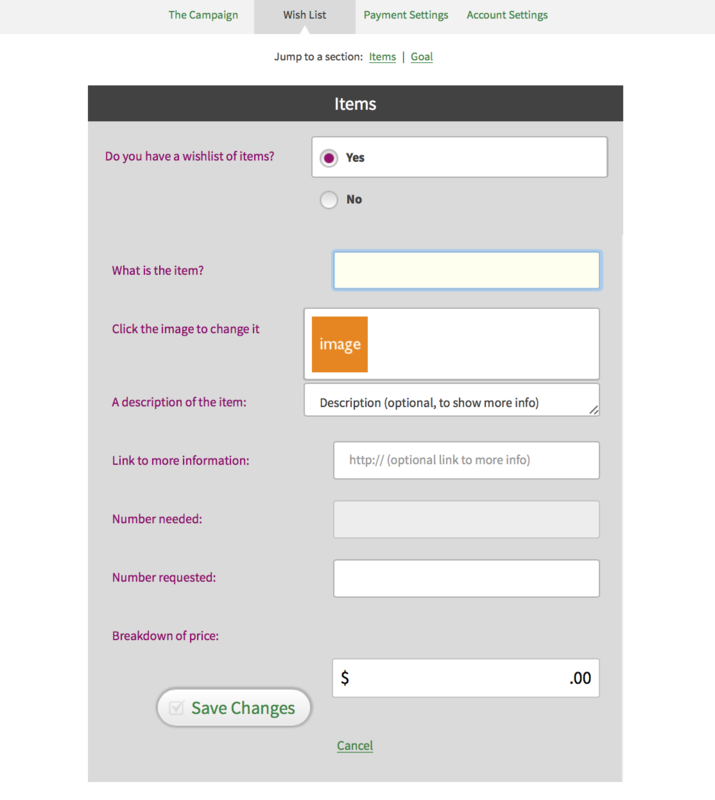 Learning how to use the wish list tool can help your campaign be even more successful. Here are some tips on how to make the most out of your plumfund’s wish list. Creating and editing the wish list is easy! Simply add an item to your wish list, provide an image and a small description, the requested quantity and cost and voila you’ll be all done! Remember to be specific when entering items. Also, by providing an accurate and detailed description, your friends and family will have more fun contributing! 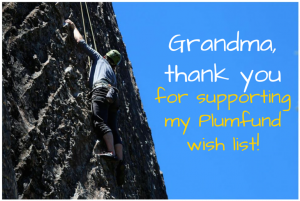 The Plumfund wish list allows supporters to split the cost of a larger item. For example, if your campaign is a babyfund, a great big-ticket item to list is a baby stroller or car seat. By listing big-ticket items on your plumfund, you can ensure that funds will go directly to cover those items. The wish list automatically updates your page when items are “completed.” This automatic update will ensure that contributors know what’s available to give and also see the progress of your fund. And if a quantity is getting low, you can add more! When the giving is all done, and it’s time to thank your supporters, the wish list makes it easy to know who gave what, and to thank them in a personal way. For example, if you received a big-ticket birthday gift you can provide all contributors a photo of you with the gift or gifts they funded. If you’re raising money for a trip, consider showing grandma or your best friend photos of you on your adventure.